Wallis and Futuna are not a typical vacation destination which is why this group of islands is perfect for all those who seek some solitude while they are recharging their batteries. It is a small piece of paradise where almost nobody goes. Chances are that you can go to one of the islets and lay in the sand all day long without seeing anyone. You have all the comforts one may seek in a vacation. You have TVs, internet, restaurants, and everything else that you may need during your vacation. It is just that tourists are in low numbers. You will never see overcrowded places or shops that sell all kinds of trinkets for tourists. Before you travel to Wallis and Futuna, there are a few things you should know. The first one is that Wallis and Futuna are French overseas territories, which is why you need to check your visa requirements. Lucky for you, almost everyone can go to the Wallis and Futuna without a visa. There are some restrictions, of course, but the visa policy of the French overseas territories is lenient. For example, all the nationals of the European Union countries can go to Wallis and Futuna with only their passport. The visa exemption is extended to a large number of other countries, which is why you need to take a look at the visa policy of the French overseas territories to see where you stand. 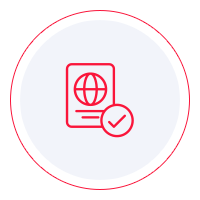 If you cannot find your country of origin on the list of visa-exempt countries, your option is to apply for a visa. You can do that at the nearest French diplomatic mission. As for the requirements, there is a lot of information you can find online. However, we recommend that you use it as a reference only, and instead you should call the embassy and inquire about the requirements. That way you can have a smooth visa application process. Getting to Wallis and Futuna can be challenging or easy, depending on where you are from. You can fly only with Aircalin because this is the only airline that handles commercial flights to and from Wallis and Futuna. You can land just at Hihifo Airport on Wallis. It is the only airport in the area. But you can quickly get anywhere from the airport. There are a couple of ports as well. Getting around Wallis and Futuna may not be as conventional as you are used to. There are about 120 kilometers of road on both islands, but most of them are paved. It may seem a bit rough, but the locals got used to it. So will you. The official language in Wallis and Futuna is, of course, French, but there are two others. Wallisian (Uvean,) and Futunian. Almost everyone on the islands is bilingual. However, English is not very common. Very few people know English at a conversational level, which is why we recommend that you learn some French before you leave. You may not need it in restaurants and hotels, but if you explore the islands and reach other places, French is your best option. The list of what you can do in Wallis and Futuna is extended. First of all, the beaches are mesmerizing. The white sand and the sky blue to turquoise water are stunning. You would think that the images are ripped from a travel magazine. However, there are no filters for your eyes, and what you will see will be imprinted in your brain forever. That is how beautiful Wallis and Futuna are. Some islets have shallow water, which is perfect for more inexperienced swimmers. You need to be careful, though. The area can be the playground for dolphins (as if that were a bad thing) and pygmy killers whales have been spotted. Other than that, you can just enjoy the view and the warm water. If you feel like exploring, you can go into the jungle. You can see some volcanic craters that form lakes now which in itself is a fantastic view. If you feel like hiking, the Mont Puke is the highest place in the islands. It is a bit over 700 meters high. Flora and fauna are incredible. The bottom line is that Wallis and Futuna give you the opportunity to have a different kind of vacation. The fact that there are very few people on the islands makes this a perfect spot for relaxation. The locals are welcoming and very helpful, the food is always fresh and delicious, and you cannot get enough of snorkeling. Wallis and Futuna are, indeed, paradise.